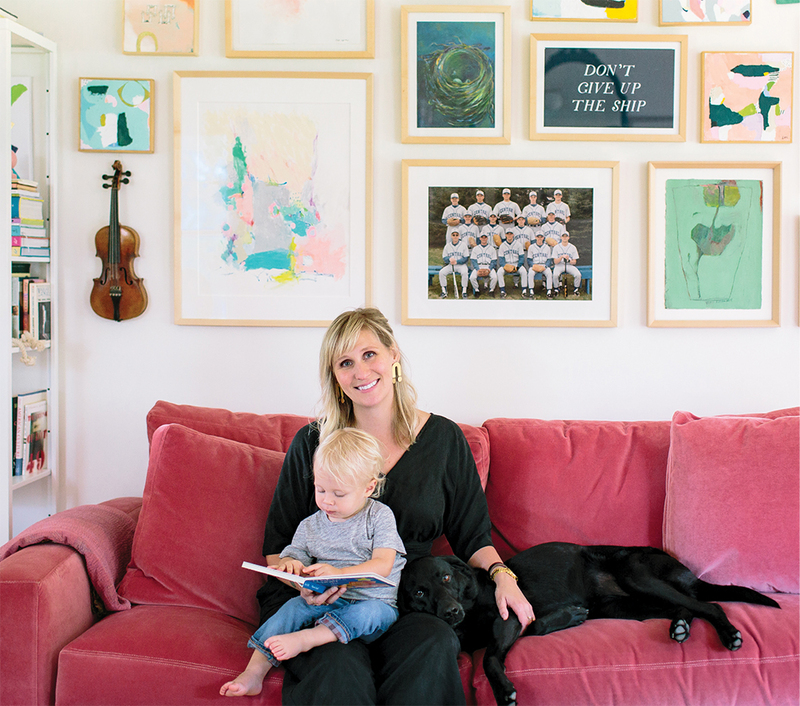 Erin Kate Duininck, son River, dog Sufjan Stevens, and the living room gallery wall that displays favorite artists from the Golden Rule, photos, framed maxims, and mementos. In 2008, Erin Kate Duininck was looking for a home to share with her then-fiancé and daughter. A confirmed Minneapolitan, she didn’t expect to end up on a former apple orchard in Excelsior. 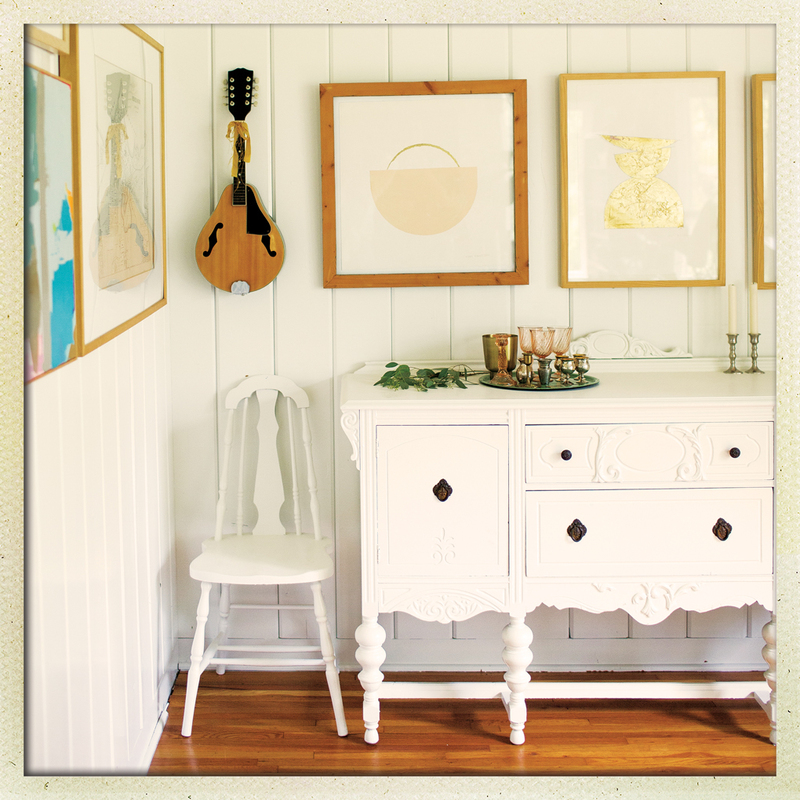 In the dining room, a mandolin keeps company with more artwork. Instead of knocking it down, the couple made improvements while maintaining the home’s vintage charm—eliminating walls; redoing the kitchen; and constructing an addition that holds a master bedroom with vaulted ceilings, large windows to let in plenty of natural light, herringbone wood floors, and a row of large, industrial pendant lights from Ikea. 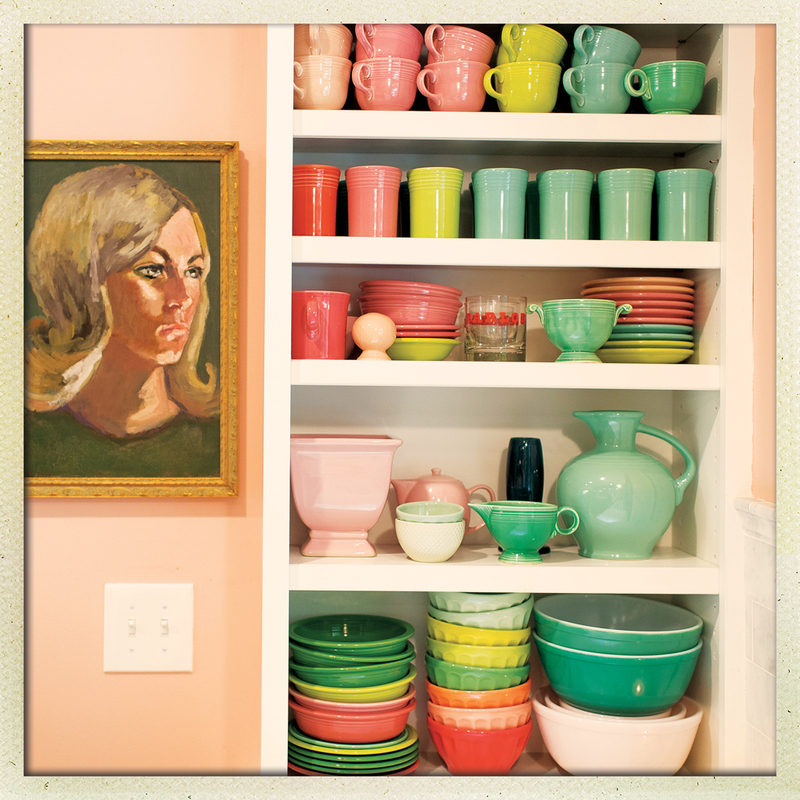 Her collection of vintage tableware is right at home in the farmhouse kitchen. Duininck’s home brims with thoughtfully arranged artwork by local artists, including Ashley Mary, Siri Knutson, and Missy Monson—favorites from her Excelsior boutique, the Golden Rule—as well as framed personal mementos, portraits by her mother, and sherbet-hued vintage tableware stacked in open cabinetry. 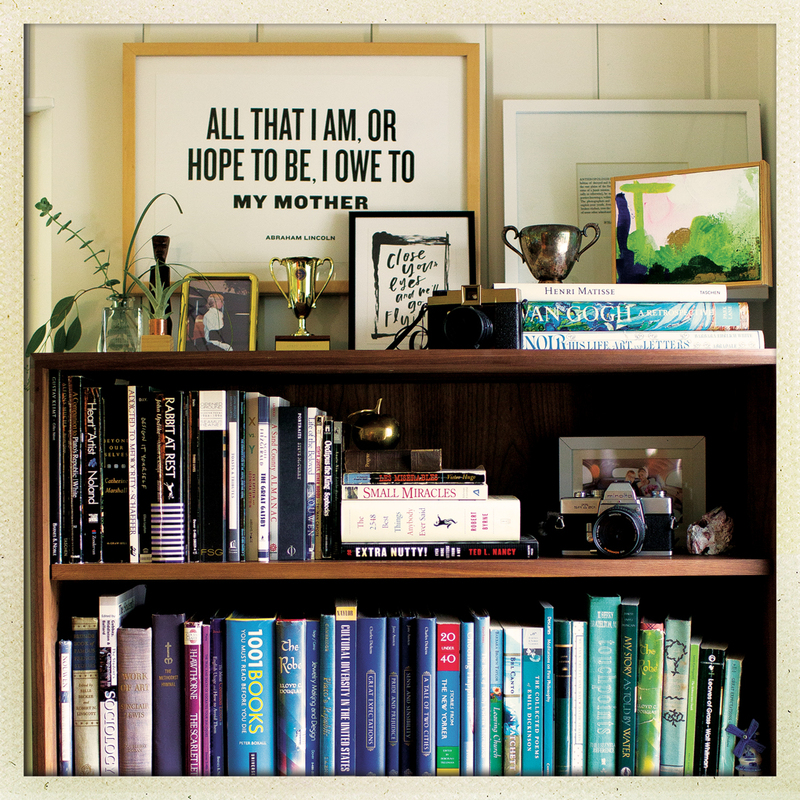 A bookcase serves as another trove of nostalgic keepsakes including framed song lyrics written for her by her dad. Where do you like to shop for home goods and gifts? What are your favorite excelsior spots?